We offer both services in order to keep your trees healthy and attractive, as well as to prevent a hazardous situation from happening. 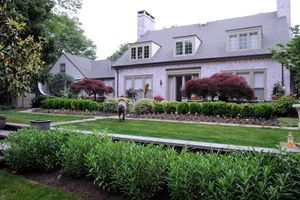 Healthy trees provide value to a property. The reason for trimming a tree, is to get rid of branches that could compromise the structural integrity of the tree. The reason for pruning a tree, is to clean out deadwood and sucker growth. As much as we love trees and dislike to remove healthy good looking trees; sometimes is necessary for one to come down due to new construction, or landscaping projects. Other reasons for removing a tree might be dying trees that are in danger of falling on people or structures. Old trees also serve as places for various species to nest; unfortunately, sometimes neighbors are concerned about the possibility that the tree may fall in their property. Tree stumps can damage your mower if you accidentally hit one when mowing. Stumps can cause new tree growth. Sometimes leaving the stump behind contributes to new sprouts, which can result in many small trees growing around the stump. A roar of thunder, an electrifying strike of lighting or a vicious gust of wind, could severely damage a tree while we stay indoors. Our beautiful trees are forced to weather the storm and sometimes they still fall victims of the elements.